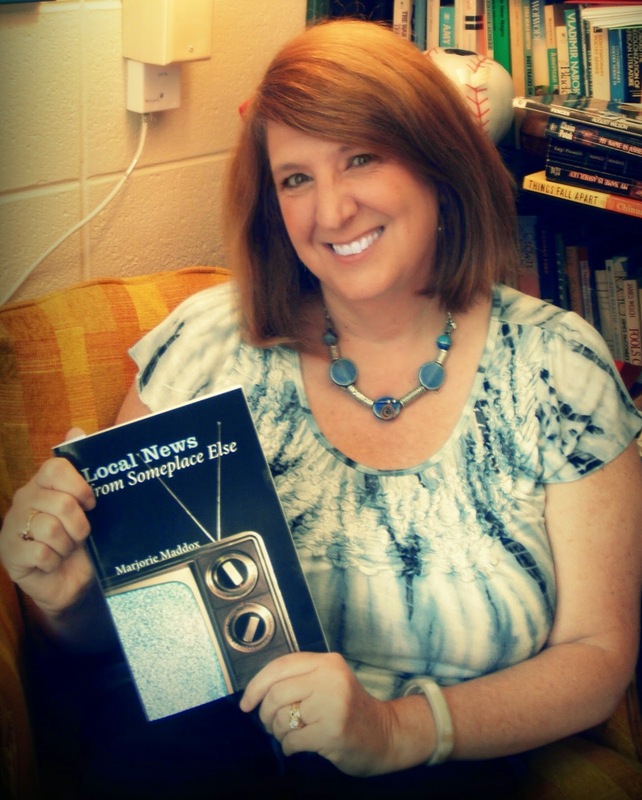 Director of Creative Writing and Professor of English at Lock Haven University, Marjorie Maddox has published Local News from Someplace Else (Wipf & Stock 2013); a 2013 eBook of Perpendicular As I ( Kindle version, Nook version, Kobo version); print version of Perpendicular As I (1994 Sandstone Book Award); and six other award winning books, as well as over 450 poems, stories, and essays in journals and anthologies. She is the co-editor, with Jerry Wemple, of Common Wealth: Contemporary Poets on Pennsylvania (Penn State Press, 2005) and has two children’s books. The Working Poet: 75 Writing Exercises and a Poetry Anthology (Autumn House Press) contains three of her pedagogical essays, including poems by her former students. Her memoir essays are included in several collections. Transplant, Transport, Transubstantiation was a runner-up, finalist, or semifinalist at 30 national competitions. Local News From Someplace Else has been a finalist for the Samuel French Morse Poetry Award, sponsored by Northeastern University; for the Kentucky Women’s Prize, sponsored by Sarabande; for the Magellan Prize, sponsored by Button Wood Press; for the Mammoth Books Poetry Award; the Ashland Poetry Press Prize; and a semifinalist for the Crab Orchard Poetry Award, and elsewhere. Marjorie studied with A. R. Ammons, Robert Morgan, Phyllis Janowitz, and Ken McClane at Cornell, where she received the Sage Graduate Fellowship for her M.F.A. in poetry in 1989; with Sena Jeter Naslund at the University of Louisville, where she received an M.A. in English; and with Beatrice Batson and Harold Fickett at Wheaton College, where she received a B.A. in Literature. Her numerous honors include Cornell University’s Chasen Award, the 2000 Paumanok Poetry Award, an Academy of American Poets Prize, the Seattle Review’s Bentley Prize for Poetry, a Bread Loaf Scholarship, Pushcart Prize nominations in both poetry and fiction, among other awards. She lives with her husband and two children in Williamsport, Pa., birthplace of Little League and home of the Little League World Series. She is the great grandniece of baseball legend Branch Rickey, the general manager of the Brooklyn Dodgers who helped break the color barrier by signing Jackie Robinson. Jacqueline Murray Loring writes scripts, poetry and stage plays. Her poetry collection The History of Bearing Children won the 2012 of the Doire Irish International Prize. History was awarded 2nd place in the 2012 New Mexico Press Women competition. Her plays have been produced at the Provincetown Theater Company, Provincetown, MA. Her full-length play, Reflections for a Warm Day, was presented in 2007 at the Provincetown Theater/New Provincetown Players Festival. No Matter What, about trafficking of women in present day, was stage-read in 2010. Fight for Right and Freedom was produced during the 2012 Provincetown Theater’s 24-hour Playwrights Festival. Loring compiled, edited and published Summer Home Review, Volumes I & II. 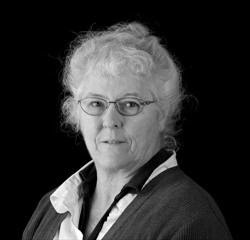 Her poetry is published in journals and anthologies including the Scribner anthology, From Both Sides Now, A Sense of Place: An Anthology of Cape Women Writers and Cadence of Hooves. Loring has received professional development grants and artist residencies from the Ragdale Foundation in Forest Lake, IL and the Heinrich Böll cottage, Achill Island, County Mayo, Ireland, among others. In July 2013, she was a co-writer on the 'Real to Reel' team participating in the New Mexico 48 Hour Film Project. She co-wrote the script, Sir Acheron’s Party. the Friends Of Film, Media And Video entry in the 2014 New Mexico 48 Hour Film Project. Loring is the Coordinator of the Eventide Arts Full Length Playwriting Competition, the past-president of the Cape Cod Chapter of the NLAPW and the past executive director of the Cape Cod Writers Center. With the support of the Nam Vets Association of the Cape and Islands, she is presently working on a nonfiction book, Surviving The Peace After War. She lives on her family ranch in Albuquerque, New Mexico’s South Valley. There she writes, and helps her daughter care for the horses in her equestrian therapy stables, Enchanted Equine Adventures New Mexico, LLC. Thank you for allowing me the honor of conducting this email interview. As you know, this review will look at each of your books. Since both books examine how tragedy and violence intrude into ordinary lives, and ways we respond to such threats to our wellbeing, I thought it would be enlightening to have each poet answer the same questions. So I would like to introduce you, the poets and blog readers, to a very brief summary of both works. 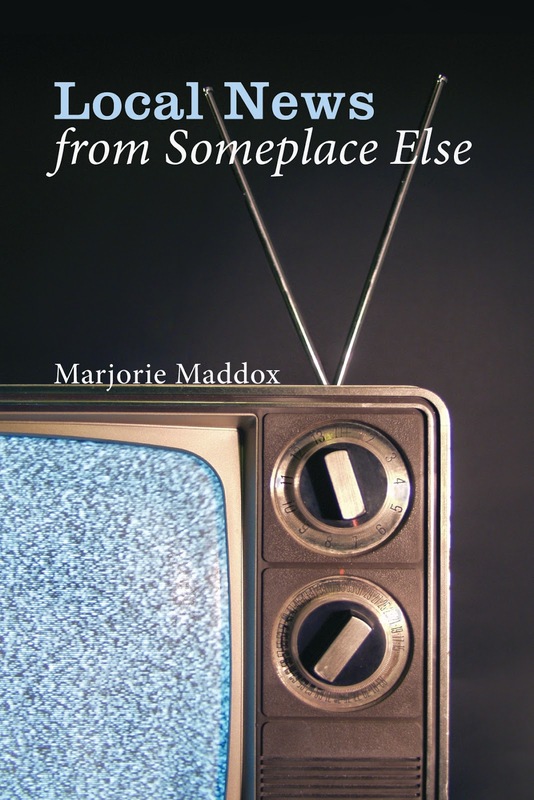 Local News from Someplace Else, by Marjorie Maddox, examines concepts of home, family, and community, as well as situations—as near as the uterus, as far as Croatia—that affect people’s safety and happiness. The History of Bearing Children, by Jacqueline Murray Loring, traces the course of love, marriage and family life with a husband/father/Vietnam veteran haunted by his wartime experiences. The following questions are for both of you. CL: As a poet who came to the craft later in life, I’m always curious about when and how others became poets. Would you describe your journey to becoming a writer? My journey as a writer in general—I write poetry, fiction, creative nonfiction, scholarly essays, and children’s literature—is similar. All writing, I believe, is creative, no matter if it is a literary analysis of poet Marianne Moore; a book review of a contemporary novel; or a poem, story, or memoir essay. From a young age, I loved to immerse myself in words and in the worlds words can create through reading. Most children, I believe, grow up loving words—the rhythm of a story, the music in the nursery rhyme. That love and passion can be encouraged (and I was fortunate in this aspect with supportive parents) or, unfortunately, sometimes squashed. Too many times, I’ve heard even teens describe the arts as impractical. But the opposite is true, isn’t it? Literature has everything to do with our lives. I have written poems and stories as far back as I can remember. (My first published poem was in a Campfire Girl magazine.) I’ll never forget the thrill of composing stories in elementary school—or the joy of presenting thank you and birthday poems to teachers and playmates. Of course, most of these were trite and clichéd, but I continued scribbling in notebooks, taking classes, entering school writing competitions, and reading, reading, reading! While I was in high school, my parents hired an OSU graduate student in creative writing to tutor me in fiction. I went on to study literature and writing at Wheaton College, then English and creative writing for my MA at the University of Louisville with Sena Jeter Naslund. 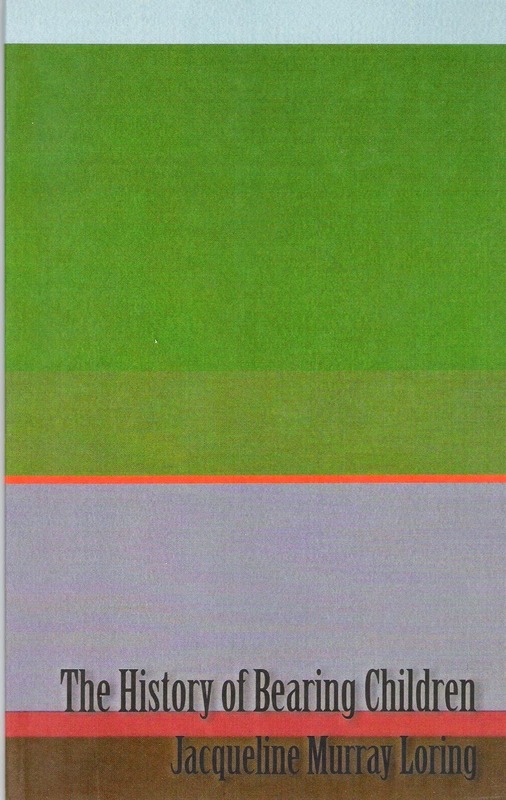 After working several years as an editor, I applied for and was awarded the Sage Graduate Fellowship at Cornell, where I earned my MFA in poetry, working closely with A. R. Ammons, Bob Morgan, Ken McClane, and Phyllis Janowitz. These were wonderfully instructive times (and luxurious—oh, to have that much uninterrupted writing time again). All in all, writing and I are joined at the hip (and the brain, heart, and hand)! Though we sometimes have a love/hate relationship (writing is, after all, a lot of work), I wouldn’t have it any other way. CL: What caused you to write the book under review? MM: Poetry is a confrontation with our everyday lives, a way to discover the world and our place in it, and—in the case of some of the poems in Local News from Someplace Else—a way to wrestle with the tragedies around us. (As I write these responses, the radio is broadcasting yet another school shootings; 74 now it says since Newtown.) These events are in the poems because they are in my life—in many of our lives—as we both grapple with and rejoice in the world we call home. But Local News from Someplace Else began as a much different book some seventeen years ago. (I know because my daughter just turned seventeen and the collection includes some poems on pregnancy.) After 9/11, the book’s original focus—having and raising children—changed as the world changed. As have many of us, I began thinking more and more about our unsafe world and particularly how best to raise a family in such an environment. Society’s changing definition of what is and isn’t “safe” affects how we view “home,” as well as how we see ourselves, others, and the world in which we create that “home.” Often, after reading the newspaper or listening to the radio, I find myself returning to the same stories. A number of the poems in Local News from Someplace Else poetically examine such headlines: the TWA Flight 800 plane crash, which especially impacted so many in Montoursville, PA, near where I live; a toddler murdered in my city; school shootings; the Quecreek mine rescue; the Nickel Mines Amish schoolhouse shooting; the Oklahoma tornadoes; the 9/11 plane crash in Pennsylvania; a kidnapped Philadelphian girl who escaped from her captors; a boy electrocuted on a bridge in Ohio; a Chicago woman found frozen in her apartment; a jazz funeral after Katrina; the aftermath of Hurricane Sandy; and a man, who—after struck by lightning—miraculously survived. But I consider more lighthearted headlines as well: a man getting a tattooed wedding ring; a wedding ceremony at Reptiland; a woman suffering from amnesia who remarries her longtime husband—to name just a few. Nonetheless, ultimately, this is a book about grace and joy. This is a book about how to live—joyfully and in community—in today’s damaged world. Thus, I also examine small pleasures—the ocean, a cup of coffee, a bike ride, an extra thick towel at a hotel—along with the deeper riches of family, friends, and faith. The book doesn’t have easy answers—there aren’t any—but it does, I hope, examine what matters most in our lives. CL: Do you think tragic and violent experiences can be redeemed, and if so, how? MM: I don’t think the trauma and terror from these events ever completely disappears. Hopefully, though, they fade enough so that we can continue as full participants in our own lives. If there is any redemption, it comes in better understanding each other: our sorrows, joys, questions, fears, and perspectives. This is why “local news” in the title Local News from Someplace Else also is universal news. Society is paradoxically horrified by and fascinated with headlines. Now more than ever, someone else’s story is in our living room, on our car radios, or in our local newspapers. But these are our stories as well: loss, betrayal, reconciliation, healing. A deeper understanding of ourselves gives us a deeper understanding of others—and vice versa. A fuller recognition of our shared humanity is one small good we can take from tragedy. To move forward, to do good in this world, necessitates that choice. CL: How are the poems in your book an attempt to redeem the tragedy/violence that impinges on personal lives? MM: The key word here is “personal”—making the experience personal, not just something happening somewhere else or to somebody else, but to somebody human like me with dreams, hopes, ambitions, fears. I try to enter the experience by better understanding the mind of the individual within the experience. Because a mother’s fears or a daughter’s grief are, at core, painful no matter the specific situation, identification follows—as can hope or joy. Although I’ve been through my own wrenches of the heart (and flesh), I am by nature a hopeful person, someone who gets back up and keeps trying. I suspect that, too, comes through in the poems. There is darkness here, but there also is light. There’s even quite a bit of humor, one of nature’s best coping mechanisms. CL: Despite the descriptions and contemplations of suffering expressed in many of your poems, there are quiet lines/poems accepting what cannot be changed; even covert and overt celebrations of what is salvageable, as well as a determination to take the next step. Would you say something about the technical and emotional considerations involved in writing such poems? MM: These are all wonderfully insightful questions and get right to the crux of what I hoped to convey. Thank you. I’m also intrigued, but not surprised, that Jacqueline Murray Loring and I are exploring similar themes in our books. As my collection evolved, I struggled to find the right balance of both remembering and honoring what has been and continues to be lost and why it is thus now even more important to cherish the small gifts in the day-to-day. I admit I don’t always remember this. In fact, I often forget. I can be overwhelmed by the increasing amount of violence and sorrow in our lives. I do, though, try to remember the life-affirming moments as well. Part of that “trying” comes through the actual process of writing. On the cover of my book is an old-fashioned television, the kind with rabbit ears. The screen is filled with static. Sometimes, that’s how our lives feel, so full of static with no clear picture. We are nostalgic for what has been. We yearn to be reconnected to what is important. There can be a sense of precariousness, a sense that at any moment we might topple over the edge; ultimately, it’s our human and spiritual relationships that keep us from doing just that. On a technical level, this precariousness is conveyed through sometimes startling images and breaks. For example, I often use enjambment, one line falling into another, to further emphasize the daily dangers we encounter. In putting together the collection, I struggled with balance. How could I most effectively bring together the “safe” and “unsafe,” as well as what makes us laugh and what makes us weep. I completely rearranged the order of poems many, many times, pulling out some pieces and adding in new ones. This is a collection that I started before several of my other books were published; however, it is the one whose content changed most drastically. Naturally, I also wanted to avoid sentimentality. It is difficult to write about children, love, and even tragedy without veering into the clichéd or sentimental. Nevertheless all poems (and perhaps these subjects in particular) demand that we do just that. I tried to give an honest and full account of human experience. I hope that I’ve succeeded. CL: Do you consider your poetry to be poetry of witness? Why? MM: I would go so far as to say that in a broad sense most poetry—or at least much of my poetry in this particular book—is poetry of witness. Poetry is all about precision (the right word in the right place) and perspective (seeing the world from a slightly different angle). It also is about observance and engagement. Even when I am writing a persona poem, I am writing what I, or the character, observes about the world. Giving witness goes beyond merely seeing, of course. To witness is to testify, to give evidence of. Poetic evidence is in the details, in the creation of, as Marianne Moore would say, “imaginary gardens with real toads.” It also is in Emily Dickinson’s knock-the-top-of-your-head-off impact, William Wordsworth’s “spontaneous overflow of powerful feeling,” and T. S. Eliot’s “objective correlative.” But what comes first in most cases is the willingness to witness. All that being said, I’m partial to the lyrical and imagaic (I want to hear and see the poem!) and shy away from the overtly political. (Though there can be an overlap of themes/issues, some “political” poetry has, for my tastes, too much of an agenda.) I’m often tempted by a good narrative (what happened, when, and to whom? ), and I can’t resist good old-fashioned word play. Many of the poems in Local News from Someplace Else were just plain fun to write and are fun to read. So there’s that as well. But yes, to get back to your question, I see many of these pieces as Carolyn Forche’s type of poetry of witness. I observe, testify to, try to understand, and as much as is possible attempt to transcend many of the violent and tragic events of the last twenty years. I also, though, bear witness to the safe havens of our lives. CL: What is your writing practice? How quickly do you “finish” a poem, how do you begin a poem, bring it to completion, and how do you know when it is finished? How do you “track” the progress of a given poem from draft, to submission, to publication? MM: More good questions. Here are some answers. 1.) Because I am a college professor with a heavy teaching load, as well as a spouse and mother with two teenagers (one with Crohns), I get little time to write during the school year. Like many of us, my days are jammed full with this and that, and when I finally have a second to breathe, I try to do just that, breathe! This doesn’t mean, however, that the process of writing isn’t still somehow occurring deep in the brain. I think it is. In fact, I seem to get just as much written over my school “breaks,” as I did before I had kids and had more daily writing time. I do find, though, that I actually use my iPhone now to jot down an idea or a line in the middle of a hectic day, so I can come back to this note at another time. Mostly, though, I like to write on our back sun porch, where I can look outside, hear the birds, but still plug in my laptop when the battery gets low. Sometimes, as I tell my students, the idea for a poem comes through the front door. I know that I want to write about a particular experience, situation, or memory. Other times, a poem comes through the back door. A line or image keeps going through my head, and I follow this to see where it will lead me. At times, I give myself assignments. Some of the headline poems came about this way. I would read the morning paper and jot down ideas. Or maybe I’ll see a call for an anthology on a particular topic, and so I’ll start brainstorming. Other times I immerse myself in reading to get the music of poetry playing in my ear. When I am still stuck, I try to go do something more physical: walking, exercising, doing the laundry, or even soaking in a hot bath. This can take the pressure off of trying to fill the dreaded blank computer screen. The brain is open to free associate when the body is moving (or, in the case of the hot bath, unwinding). Typically, after any dry period, I have a day or two of just pacing the house and procrastinating as I begin to gear up. I don’t like this part of the process, but I’ve begun to accept it for what it is. Once I actually am writing, I follow what comes out. Sometimes a poem happens very quickly. Usually, though, each poem goes through ten, twenty, or thirty revisions. Even when I think a poem is “almost there,” I can’t stop tinkering. I also do a lot of composing out loud, and so I prefer to have the house, or at least the room, to myself. (Obviously, that isn’t always possible. The other option is to be where there are a lot of people but I am anonymous, like at an airport or a coffee house.) Eventually, I let a poem sit, then return to it a few days later to see if it is still working the way I thought it was. Sometime it isn’t, and I start again. Once I have at least some poems down, it is easier to continue on to others. In fact, some of the earlier poems in any of these sessions turn out to be mere stretching. That’s OK. They’ve served their purpose and are all part of exercising the brain, which is the process of writing. 2. How do I know when a poem is finished? Sometimes I don’t. Usually, though, I sense that thrill when I read a work aloud, and each word seems to be in just the right place. I might keep playing around with line breaks (one of the great advantages of composing on a computer) and change the shape some, but in general I can tell when the music of the poem sounds right to my ear. 3. Once I reach this stage, I put the poem in an electronic folder labeled “Ready to Send Out,” and the next time I am procrastinating from writing (yes, this is when many of my poems get submitted), then I do just that, grouping poems according to theme or to the readership of a particular journal or magazine. I log my submissions electronically as well and keep track of each piece that way. I used to use the old Filemaker Pro. As more and more journals are using Submittable.com, I find many of my pieces are logged there instead. CL: What poetic form(s) do you prefer and why? MM: I write primarily in free verse but, as I mentioned earlier, my work tends to be lyrical and imagaic, so you’ll find a lot of attention to sound and image. I also play around with rhyme and repetition. CL: How do you decide what form is best for a given poem? MM: Mostly, by experimentation—good old trial and error. Sound and sense need to work together. CL: Would you illustrate the decision-making process with one of the poems from your book? spread with such detectable savor. In the poem’s opening lines, I imply contrast between what you see when you look in from the outside at a couple in a café vs. what is going on inside the relationship. The break after “threatens,” dropping down to “no one” in the next stanza further creates tension. I tried to continue this tension and surprise in such images as “split croissant,” the line and stanza break of “smile/at each other’s drenched winsomeness,” and “You are/not what I ordered but what I order now” with the play on “order.” The slant rhyme of “You are” and the poem’s final word “savor” rhythmically pull together the poem while also emphasizing unity. (So this really felt like the ending to me immediately after I wrote it.) Throughout, I tried to pay attention to rhythm, assonance, and consonance. There’s more, of course, and much occurred subconsciously during the writing process, but given your question, these are some of the choices that stand out to me now. CL: What is your favorite poem in the book and why? I am not sure that I have a “favorite” poem in the collection. “At the Gynecologist’s” and “Cyde Peeling’s Reptiland” are great fun to read to a crowd. One of the poems, though, that I think raises the central question of the book—how do you raise a family in an unsafe world—is the piece “Safe.” When my children were young, there was a horrific murder in my town. In the midst of a custody battle, a man stabbed his young daughter numerous times. And so I had to decide whether to attend the funeral with my daughter. in last week’s news photos. ourselves in our cloistered home. I wanted to create in this poem, through careful word choice and line breaks, the great fear that we are not always able to protect our children, especially when danger often appears at the most unexpected times and in the most unexpected places. CL: Who are the poets that have most influenced you? MM: This also is a hard one because my answer seems always to be changing. Certainly, I’ve been influenced by poets I fell in love with early on—Hopkins, Eliot, Sexton, Bishop, Moore, the 17th c. metaphysical poets—but just as importantly, I am always learning from the works of contemporary poets and writers. My list of favorites is long, but here’s what’s currently on my bedside table: Todd Davis’ In the Kingdom of the Ditch; K. A. Hays’ Early Creatures, Native Gods; Elizabeth Alexander’s American Sublime; Kerrin McCadden’s Landscape with Plywood Silhouettes; Tania Runyan’s Second Sky; The Nearest Poem Anthology, edited by Sofia Starnes; and Mary Szybist’s Incardine. Recently, I also reviewed Barbara Crooker’s wonderful new collection Gold, which I see you reviewed as well. CL: Would you say something about what you are working on now? 3) A dramatic rendition with music and dance of animal poems from my children’s book A Crossing of Zebras: Animal Packs in Poetry, as compiled and directed by Rob Thompson and his troupe Phenomenal Animals, to be performed in schools in NJ and/or MD. I look forward now to learning more about Jacqueline Murray Loring’s The History of Bearing Children, especially as it seems we’re drawn to similar themes. JL: When I was a kid, the grownups turned to me for happy, rhyming verses at parties or special occasions. My parents, my sisters and I lived down stairs from my grandparents and my Aunt Clare. I read my grandfather’s Ray Bradbury books and wrote Sci-Fi short stories in grammar school. It didn’t make me popular with the nuns at Saint Peter’s School. Grandpa would read sport stories to us, and Grandma loved poetry. My aunt was a career WAVE and traveled to fantastic places. I remember her shelves of books. At one point, maybe 5th grade, I roamed the world through Richard Halliburton’s books. I planned to see all the places for real. My grandmother had a substantial collection of poetry books which, if we were good kids, she would read. Treasured memory. Unfortunately, by the time I got to public high school, my stories and poems had been pretty beaten down by the nuns. By 8th grade, I didn’t show anyone what I wrote. Fortunately when I was a junior in public high school, I had a Civics teacher who encouraged me to write, in any form that I liked at that moment. I don’t have any of those journals but I often wonder what my space stories would read like today. She took our class to see and hear Robert Frost read. Amazing. By the time I was an adult, the words I wrote seemed to fit into lines and stanzas rather than paragraphs and chapters. Though I can’t remember thinking ‘this is a poem, this is a story, this is true, this is a fable.’ Rather it was just my way of journal writing, of making sense of life. Before the 1970s, I didn’t share my writings with anyone. My big shift began with troubling times in my marriage. One evening my husband brought home a flyer from the Vietnam Veteran’s Outreach Center in Hyannis. It advertised a two week long writers’ workshop at UMass, Boston. Poetry became my life’s work. I wrote daily, hours at a time. Except for the work I showed at the Joiner gatherings, and a few that were published, most of the work I have written is still unseen. Over the years I have written and edited several hundred poems, only a few of which became part of my first chap book poetry collection in 2012. My next collection will be a full length poetry book. In the mid-1990s I was writing only poetry, but at a Cape Cod writers conference I took a screenwriting course and fell in love with the genre. Before my move to New Mexico, I wrote daily, primarily screen and stage plays. My poetry background helps me write dialogue that enacts what I want a character to express. Poetry still holds an important place in my creative life. I don’t know when a poem will want to be written but when it happens, I have to write. When I NEED to write and can’t due to life’s intrusions, I become very crabby. JL: During the late 1990’s and early 2000’s, I attended the Joiner Center for the Study of War and Social Consequence’s writers’ workshop at UMass, Boston. The faculty and the majority of participants were Vietnam veterans. Within that community, I found a cocoon of supportive writers, mostly poets, who allowed me to put into words, mostly poems, my life’s struggles. I was married in 1969, a few months after my husband returned from Vietnam. I hadn’t known him before his service. For many years, twenty or thirty maybe, I felt estranged from the women and families around me. I was the mother of four children (and foster kid), alienated from my own sisters and their husbands and families. What I knew about married life, about being in a relationship, about being a member of a larger community, I learned in the aftermath of my husband’s Vietnam experience. Only at that time, I did not know that Vietnam was a part of my daily life. From the first day’s poetry class with Vietnam veteran poet Bruce Weigl (2013 finalist for the Pulitzer Prize), and workshops over the years with writers and poets like Tim O’Brian, Lamont Steptoe, Larry Heinemann and others, my writing evolved along with my self-esteem. Once I started sending out individual pieces of publication, I had a great deal of success. But I was unable to find a publisher who would publish the entire collection, so I abandoned the idea. While at the two week summer Joiner writers’ conference in 2002 and 2005, I gathered, edited and published two anthologies of the participants’ work: SUMMER HOME REVIEW I and II. The anthologies include the poems, prose, plays and translations. Many of these works would never have been otherwise published. The books included photos of students and faculty I had taken over the years. I still get thank you notes from writers who say that their published photo with Lady Borton, Grace Paley, Demetria Martinez, or Claribel Alegria has been the highlight of their lives. The short version of how my chapbook got published is that in the early 2000’s no one was interested in a book, written by a veteran’s wife, about surviving the peace after Vietnam. After a lot of rejections, I stopped trying. In November of 2011 an Irish friend and my husband convinced me I should try again. I bought Poets and Writers Magazine, sent six to eight poems out to every contest listed in the January/February issue. Several poems were accepted for publication. Then in April, I got a call from Galway. I had received the 2012 Doire Press International Chap Book prize, which included publication of the book and seventy five copies. If I could get to Ireland they would launch the book at a reading in Galway. In July 2012 I traveled to Ireland. The publisher hosted a book launch, readings and book signings. Writing THE HISTORY OF BEARING CHILDREN took me twenty years. Final publication was a totally different journey. JL: My life to this time has been a personal, unique and intimate journey of self-discovery. If this question is supposed to reflect my life experiences, then I think “tragic and violent” are harsh and concrete descriptions. If by “redeemed” you mean ‘changed’ or ‘converted,’ then no I don’t think that by writing down a life moment by moment, exactly as it happened changes anything. But I do think that there is a ‘release’ or ‘liberation’ from the emotion that the poet can capture on paper. What is the reality behind any specific poem, anyway? I think a poem must be true to itself. What individual words in a poem express is often ambiguous. A dog might bite you but in a poem the experience could become waves of remorse or bitterness about how a winter’s snow storm intrudes on a family event. Or the poem could be full of hard sounds or disrupted end lines. Poets show these situations in unique ways. JL: Once I was notified that Doire Press had accepted my poems, I had to face the fact that they were offering to publish a whole book of my work. Was I ready to publish these intimate poems, allow them out into the world? I thought I was. One friend I asked to read and edit the manuscript told me that she was “horrified that my husband would allow me to air our dirty laundry.” My husband supported the telling of our tale. We agreed that if the book helps one veteran or one family, then it should be published. I spent weeks second guessing my determination to get the book published. I believe that the families of America’s new vets deserve to know that we survived, and that they can and will also survive. Reading THE HISTORY OF BEARING CHILDREN might give them some measure of understanding about what life is like inside the family of a combat veteran. A few years ago, before I moved to New Mexico, I attended the funeral of a close friend’s husband. She and I shared our children’s school years. She was the PTA president and I was on the school committee. We were part of a larger group of women who were active in our community. At her husband’s funeral I was intrigued by his Vietnam medals and photographs. During all those years, I had not known he was a Vietnam vet. In the months after the funeral, I asked several other women in our circle if their husbands were vets, and I was astounded to find out most were. How could I have not known that? Easy. As wives and mothers we focused our community efforts on our children’s lives. We hardly ever talked about our husbands or their lives. I wish THE HISTORY OF BEARING CHILDREN had been published in the 1980s or 1990s. I now wish I had shared my story with my women friends back then. I can only wonder now if my life and their lives might have been different, if we had known we shared common ground. I feel, in a small way, that THE HISTORY OF BEARING CHILDREN is an important contribution to the genre of books about surviving life after war. My poems are from the perspective of the family and not the veteran. This gives them a valuable and a unique perspective on how to survive the peace after war. My new book’s working title is PROJECT RESILIENCY: CONVERSATIONS WITH IN-COUNTRY VIETNAM VETERANS. It contains interviews with twelve Vietnam veterans, and will be made up of dialogues between veterans of the war in Vietnam. I hope it will be an inspiration to readers, specifically to America’s new veterans and their families. With over forty years of experiences behind them, Vietnam vets have adjusted to the peace after war and have valuable insights to share about the struggles and successes after combat. The book will allow me to help these veterans to share their stories and “to pay forward” their knowledge and life experiences for new vets and their families. JL: I think ‘Triple Canopy’ is an example of what you are asking. I was trying to express the turmoil that occasionally can be part of a family’s journey. The day begins calmly, almost serene, happy, but there is no way to predict when events or circumstances you cannot foresee or control will force themselves upon you. In this poem I tried to show that even in the face of awful events, if there is a bond between a man and a woman, an overriding emotion that holds the relationship together, then something as simple as seeing your engagement ring sparkle in the sunshine can keep you going. It only takes a fraction of a second to hold together a family during rough times. The last line reflects the love, the sureness about the strength of a relationship, that allows a woman to go on. Until it was included in THE HISTORY OF BEARING CHILDREN, the title of the poem was TOMORROWS but my editor helped me to see the depth the new title added to the poem. I see my diamond sparkle. CL: Do you consider your poetry to be poetry of witness? If so, why? JL: I didn’t years ago but yes, I guess with this book, I want to offer readers a glimpse into the workings of a different reality than they might know. I believe that for a wife and children, living within the construct of a husband’s/father’s PTSD creates a world that cannot be understood or judged from outside. I’ve often tried to write prose about my forty five years of marriage and have failed miserably. I recently have outlined a new screenplay based roughly on a couple of months of my marriage when a ½ scale replica of the Vietnam Veteran’s traveling wall visited our town. Since the publication of History, I find I am much less hesitant to ‘tell’ stories about my marriage and life when talking with a veteran who suffers from PTSD. JL: Most frequently the title or last line of a poetic thought comes to me first. The thoughts fill themselves in as I write. On the other hand, I have a poem about my sister’s last few months before she died that I still haven’t written fully after ten years. I accumulate lines I must add into poems and they sit on paper or in computer files. I’ll get to it one day soon. I have a title, “On the night of missed chemo” that haunts me because I know what I want to say but I can’t find the right words, or settle into a form, or even a complete thought. I am afraid I won’t do it justice so I wait. My problem is that I want to get the poem to reflect the actual even. The poem wants to be a poem. “On the night…” runs for more than ten pages at this point. But mostly when the idea for a poem comes, it won’t let me go until the words are on paper in some reasonable form. A new poem is usually insistent and demands closure. I drive when this happens, and I pull over when enough words crowd my head that they need to be written down. I’ve missed important meetings or gatherings while this is happening. But the feeling that I get when the right words appear on the page and express, unedited, exactly what I want to say, is worth all the effort. That moment of quiet, personal elation is an important moment my poetic life. On the other hand, all poems that work their way through a writer’s critique group benefit from that additional edit. I use to be terrible about tracking poems I submitted. I had to master the process once I started sending out screenplays. I use an excel spread sheet to track all my submissions. It is hard work that I don’t enjoy, but I have a friend who had two poems published in two magazines in the same month. Neither magazine would accept her work after that. A lesson well learned. CL: What poetic form(s) do you prefer and why? How do you decide what form is best for a given poem? Would you illustrate the decision making process with one of the poems from your book? JL: I have written sonnets and sestinas and in 2012 I wrote an Ode, but I think I prefer free verse because it allows my thoughts to flow instinctively, not held to a form the nuns insisted I use when I was a kid. I don’t decide ahead of time what form a new idea will take, just as I am not committed to the line or stanza, or end lines. In general my inspiration comes with a title, or an ending or a couple of words. From there I write in my notebook (I prefer an unlined artist paper notebook) with a pencil. I pour all the thoughts and ideas I have that go with the emotion or idea onto the page, unedited. I may write in lines or as a paragraph but I am not attached to the form. I have had a few gifts from the muse, poems that come complete and need little or no editing. But whether it seems complete or begins with a few words on the page, once I begin a poem I usually stay with it till the first draft is done. By that I mean the poem works itself out in my head. It writes itself when I am sleeping, when I’m not at my desk, when I drive or even when I try to concentrate on someone’s conversation. I return to my paper frequently in this stage, maybe daily, possibly several times in a day, sometimes till very late at night. Some poems require research for facts or specific wording, some demand language beyond what comes easily. Beautiful words sometimes hide till they are damn well ready to be written down. Occasionally, I remember another poem with a word or thought that could help me complete a thought, so I go back to poetry books that inspire me. RIVER TET is one such poem. I had an Ah-ha moment one night and realized that my life flowed like a river beginning at the start of the Tet Offensive in Vietnam and progressing through the year to Tet again. Once I had that clarity, the poems wrote itself but I needed words like pools, tributaries, deltas and rapids to move the poem along. Those I researched and added. Once a poems seems to be happy on the page, I delve into the meaning expressed and hidden. I’m not really familiar with myths, but I can recognize a poem that needs images from mythology. So, depending upon a specific poem, I spend time reading what I think could matter to the poem, and add words that might give the reader a different or additional entrance into the poem or verse. I am always surprised when the myth, or character, or fable appears, and it is just what I need. I’d hate it if a reader thought my poems were first drafts. Like Ted Kooser, many of my poems have had more than thirty rewrites. Once a poem seems happy, I leave it. I seem to know when it is ready for other eyes. I do a lot of editing before I read a poem to anyone, or consider it done. Almost all of my poems have been worked in a critique group. with just my love your guard. I love this poem because it tells about a time when my oldest daughter was twelve. It was the lowest point in my life and the time when I was the most crazed. There was a decade during the mid-1980s when I think I lost track of who I was. Daily life was chaotic, filled with unpredictability. My husband’s PTSD had not been diagnosed and the children we adopted came to us at age eight and nine. I struggled to work a forty hour week as a labor and delivery nurse and teach childbirth classes at night and still keep the household running. At that time in my marriage, my husband had had twelve jobs in twelve years. Money was hard to come by. A poem in THE HISTORY OF BEARING CHILDREN titled NO OTHER CHOICE gives a glimpse into those days. I compensated for the imbalance I felt by trying to control the children and their world, and to keep equilibrium with the children and my husband. The more I tightened the reins the more everyone fought back. One of my daughters rode horses with her 4-H club. I was terrified each time they went out riding. MOUNT THE MORNING describes me at my most controlling, crazed phase. During those years I wrote poetry as a way to deal. When my husband received support for his PTSD, life in the house became less stressful. I love how this poem tells my story. JL: I went to parochial school as a child and poetry and elocution were part of the curriculum. My early favorites were Emily Dickenson (“I’m nobody who are you”) and Henry Wadsworth Longfellow. Most of his best known works I memorized in school. He was also one of my grandmother’s favorites. She left me one of his books. I love Longfellow. I credit him and his work with my innate sense of the ‘three act structure’ and with my evolution into writing screen and stage plays. In the 4th or 5th grade, I memorized THE CHILDREN’S HOUR. I could probably recite it now if I had to. I remember one specific night when my father read it to us girls. I especially loved this poem because there were three of us sisters at the time, one with ‘golden’ hair. I love too many poets to list. When I moved from Cape Cod to Albuquerque one of the hardest tasks was to do something with hundreds of poetry book, most signed by the poet that sat on my books shelves. I donated many to my library, gave some to friends, but in the end I had to sell many. I brought with me to New Mexico several cartons of my collection of ‘war’ poetry books that I just couldn’t part with. Among today’s poets, I worship Bruce Weigl. “When words turned stupid” from the “CIRCLE OF HAHN” is one of my favorite phrases in literature. I have several close friends who are Vietnam veterans who are among America’s best modern poets. I treasure being able to say that. I guess my best answer to your question came in an interview while I was on Cape Cod. I was asked by a reporter what my very favorite book was and I think it is still a good answer. I told her the one I am reading at this moment. JL: I’m working on a second poetry collection of already-written poems which is being edited by Irish poet and short story writer Geraldine Mills. Presently, the manuscript is titled, WHAT MY SISTER SAID. My plan is to have it edited by the end of the year and published in 2015. I’ve been working on a non-fiction book presently titled, CONVERSATIONS WITH COMBAT VIETNAM VETERANS for three years now. I hope to have the interviews transcribed and the individual stories completely written by the end of this year. I think this book will be important, and I want it to be perfect. Each veteran’s story is unique but all of them overlap. I am very proud of the project. 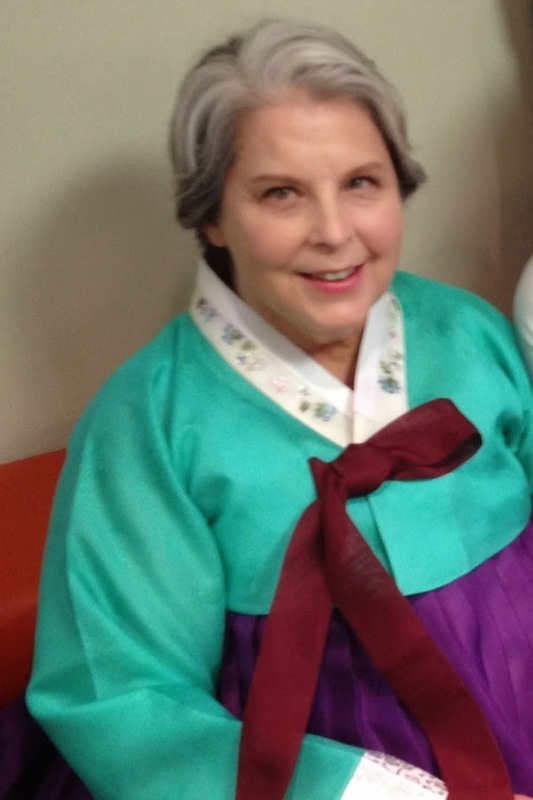 Caroline LeBlanc, MFA, MS, RN is Writer in Residence at the Museum of the American Military Family. Presently she is co-producer/writer for Telling, Albuquerque, (part of the national Telling Project) a 9/11/2104 testimonial theatrical event where military veterans and family members perform their own stories. In 2014 she directed 4 Voices on the 4th, a collaborative spoken word performance with three other women military family members. Since relocating to Albuquerque in 2013, she has hosted a writing salon for women military veterans and family members. In 2011 Spalding University awarded her an MFA in Creative Writing. Her poems have been published in her 2010 chapbook, Smoky Ink and a Touch of Honeysuckle, as well as online and in a number of print journals. Her art pieces have been included in a number of group shows in the Albuquerque area.